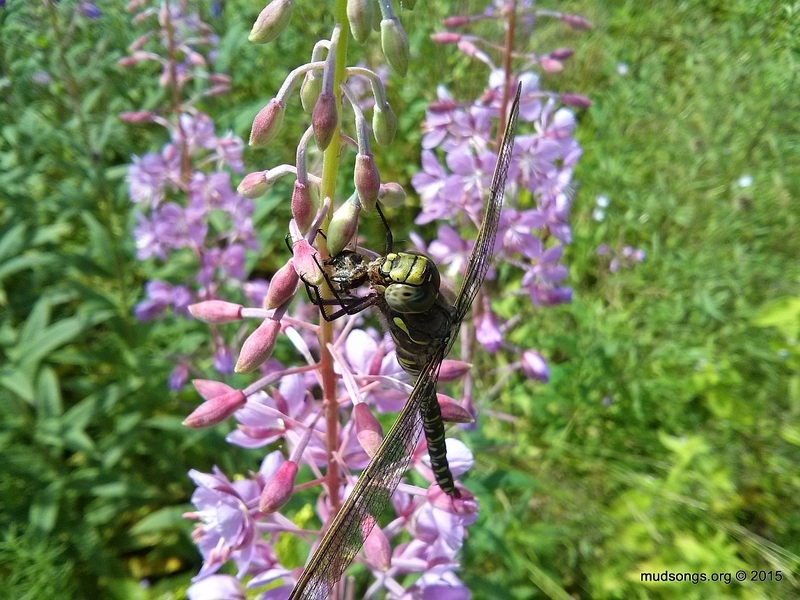 Because dragonflies eat honey bees. 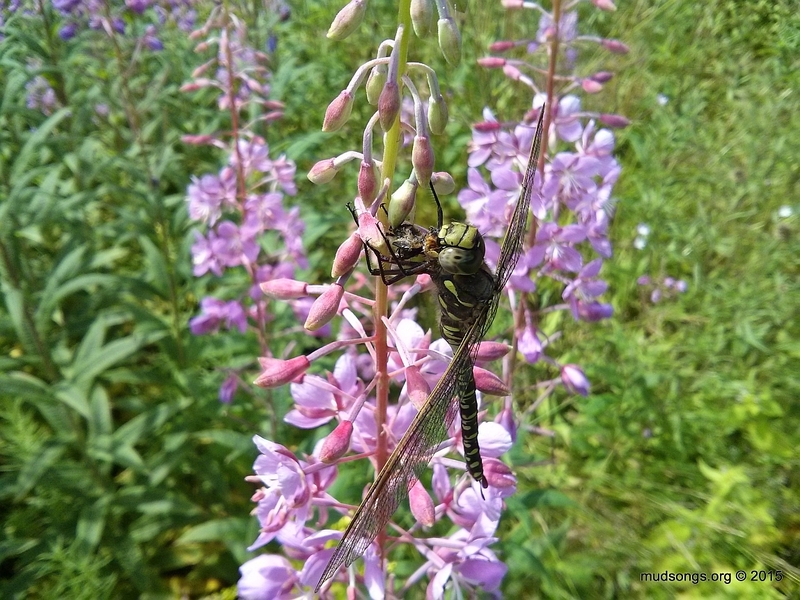 This entry was posted in Dragonflies, Fireweed, Month of August and tagged Video. Bookmark the permalink. Wow! What an amazing thing to capture! Thanks for sharing! A day later I saw a dragonfly swoop down and grab a honey bee in midair just as the bee was coming in for a landing. It’s feeding time for dragonflies. 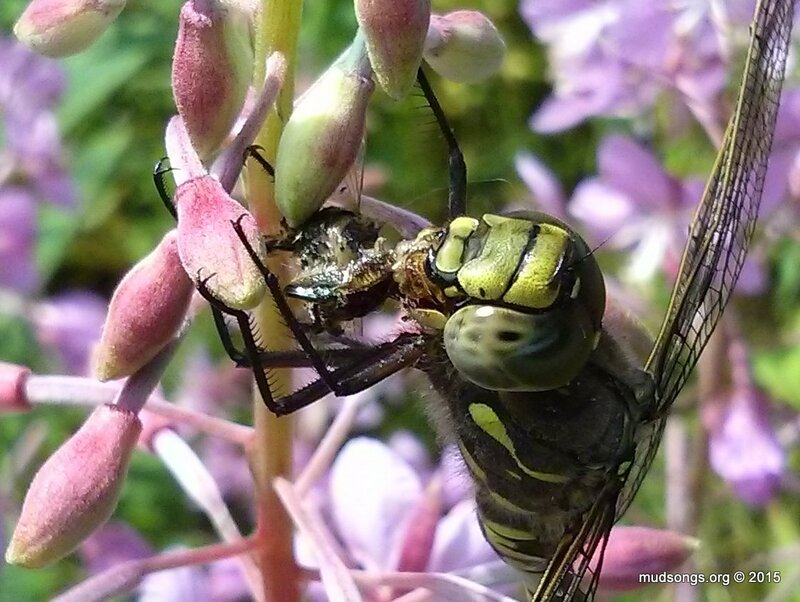 I knew dragonfly larvae were voracious but hadn’t known the adults are too – bee-killers, eek!